The Federal Government will allocate an additional $51.5 million to ensure the Federal Court and Commonwealth Prosecutors have sufficient resources to ensure financial institutions are brought to account for their misconduct. The Commonwealth Director of Public Prosecutions will receive an additional $41.6 million in funding while the Federal Court will be given an extra $9.9 million over four years. 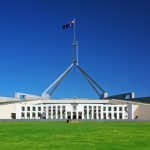 It will allow for the appointment of two extra Federal Court judges to accommodate for an influx in disputes between the Australian Securities and Investments Commission (ASIC) and financial institutions. 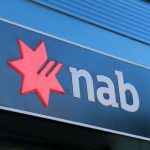 “These appointments will accommodate an increase in disputes with financial institutions as well as claims from ASIC’s increased enforcement activity,” the treasurer stated. He expressed disappointment that regulators have historically preferred negotiation and settlement over litigation, effectively allowing large institutions to get away with endemic misconduct in exchange for relatively small fines. Frydenberg says regulators need to take a more aggressive stance to deter financial misconduct. It has also been announced that an additional regulator will be created to examine enforcement in the financial sector. The new ‘Committee of Regulatory Enforcement Strategy’ will be chaired by the Attorney-General’s Department and comprise representatives from the key regulators overseeing the financial sector. There are questions about whether such a body will be effective, as it will essentially be made up of existing regulators rather than being a freshly constituted body. Mr Frydenberg said the Attorney-General’s Department would conduct a review into whether the jurisdiction of the Federal Court should be expanded to include corporate crime. Currently, criminal misconduct is generally heard in state courts and there is some question over whether there are sufficient resources in these courts to adequately hear these complex cases. Commissioner Hayne released a scathing interim report in September highlighting the insidious culture of greed and misconduct in the nation’s big banks. Indeed, the Banking Royal Commission has shown beyond doubt that both civil and criminal misconduct is rife amongst financial institutions, which is something the Coalition government had repeatedly denied. In fact, Prime Minister Scott Morrison voted against a Commission on 26 times separate occasions, before the government was forced to support due to a rebellion by National Party members. Mr Morrison had urged Mr Shorten (who supported a Commission) to stop playing “reckless political games”, adding that the Opposition Leader’s policy had caused alarm overseas about the strength of Australia’s banking system. At the time, 64% of Australians supported a Commission, including 62% of Coalition supporters. Now, the government appears to be bowing under pressure to ensure they appear to be ‘tough on crime’ when it comes to big corporations, and not just ‘street offenders’. 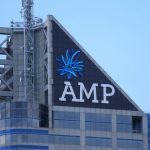 The Royal Commission has found that wealth managers AMP, NAB and the Commonwealth Bank have all extensively charged ‘fees for no service’, a practice which can constitute crimes under the Corporations Act, including making misleading statements to ASIC under section 1308, in addition to fraud under state laws including section 192E of the Crimes Act 1900 (NSW). 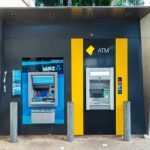 In his closing submission on misconduct in the superannuation industry, Michael Hodge QC said the Commonwealth Bank (CBA) had admitted to more than 13,000 criminal breaches of the superannuation law. 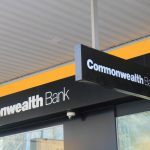 The CBA-owned Colonial First State, he submitted, had failed to move 13,000 superannuation members into low fee, no commission accounts known as My Super by the legal deadline of 1 January 2014. 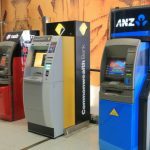 Previous briefings by federal and state policing agencies suggest the big four banks – Westpac, ANZ, NAB and the Commonwealth bank – have all failed to report their extensive use by criminal syndicates to launder money. And AUSTRAC investigations found the CBA had in fact failed to report many ‘suspicious transactions’ amounting to millions of dollars. 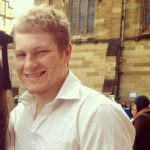 Zeb Holmes is a journalist and paralegal working on claims for institutional abuse. 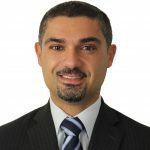 He has a passion for social justice and criminal law reform, and is a member of the content team at Sydney Criminal Lawyers®.